Assistive Technology That Can Support Safety | Where It's AT. The Ability Tools Blog. Hey! Did you know June is National Safety Month? Safety and disability can go hand-in-hand, and assistive technology can help. From special locks, alarms and environmental adaptations, here are some examples on how people with disabilities can keep themselves and their families safe. 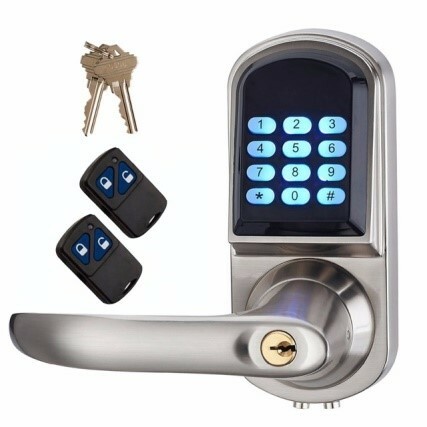 For those with limited dexterity, fine motor skills, or cognitive impairments these types of lock for your home or office can be very helpful. Using either a remote control, your cell phone, or programming a series of numbers, you won’t have trouble with keys again. Also, with some locks, you can check and lock your front door from anywhere. Peace of mind guaranteed! These locks are great for people who are blind, low vision, or have cognitive disabilities. To check these out, go to Accessible Combination Locks. 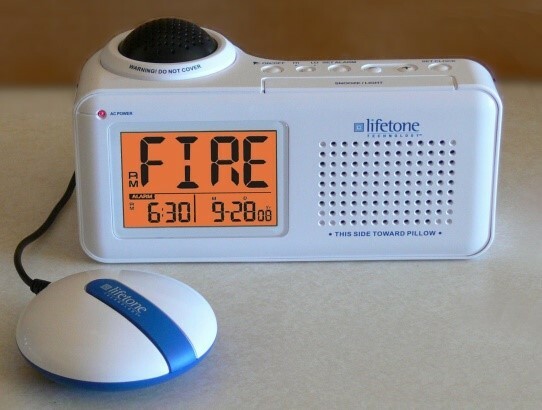 Alarms are crucial to the safety of individuals with disabilities. Whether it’s for a fire, carbon monoxide, or an intruder; having an accessible alarm is a necessity. An example of an accessible alarm is a smoke alarm with flashing lights or vibrators for individuals with hearing impairments. If you are interested in learning more and possibly borrowing an alarm to try, check out: Ability Tool’s AT Exchange. Use contrasting tape to label an exit or a change in level for those with low vision. 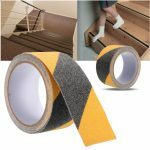 Use brightly colored and highly contrasted tape to draw attention to edges of walls, cabinets, doors and exits for better navigation during an emergency. Keeping exits clear from clutter and other things that may impair someone during an evacuation. Always have an exit plan. This is easier for your home, but what about malls, restaurants, and other public spaces? It’s important to know what you would need to do to get out of an area safely no matter who you are.